We look at a lot of websites while doing this blog. Many times we get distracted and spend way too much time looking at non-henge-related pages. But never have we seen a site that so sweetly reveals a quirky and interesting mind the way thinkythings.org does. He discusses an odd assemblage of topics, from a 1940s woodpecker toothpick dispenser to what phrases you can make with a set of children’s alphabet blocks (warning–R-rated!) to (our favourite!) common or famous first names that are also verbs (with categories for variations you end up thinking of if you try listing them yourself), and many other odd things that somehow elicit a smile. This is the kind of stuff we hope for from the internet, brilliant things arising not from the drive for money, but from the sheer quirkiness we each possess. (Don’t get us wrong–we’re not averse to money. 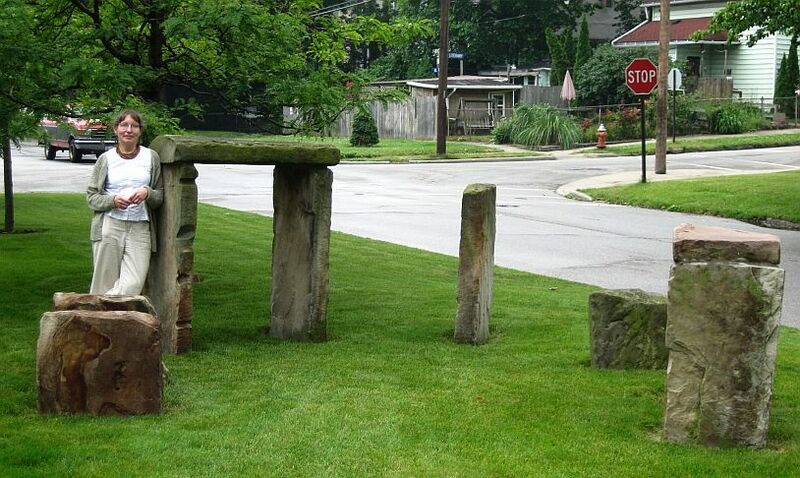 Clonehenge remains nonprofit, like some people who remain virgins, not out of virtue but because of a dearth of interested petitioners!) One of topics that this unusual and prehensile mind touches on is the topic of Stonehenge, Stonehenge made with eco-foam, a material used for packing peanuts that will dissolve in water and disappear, hence “eco“. Of course, he endeared himself to us in the first paragraph where he asserts that “if the Druids worshiped at Stonehenge, it was without knowledge of the site’s origins or purpose, for Stonehenge was completed 1500 years before the Celts arrived in Britain.” Hurray! It could only be better if he explained about the Beaker people. As if this weren’t enough, it is obvious from the photos, especially those from above the model, that the builders looked very closely at detailed layouts of Stonehenge. (Here is an aerial view for comparison.) This model is brilliantly made and of an unexpected material. Cha-ching! Score: 7 druids! That’s high for a small henge, but this fellow even makes a point on his Odd Things page of giving the true definition of the word henge. You can’t beat that with a stick! As they say. Whatever that means. Thank you, Mr. Drew, whoever you are. 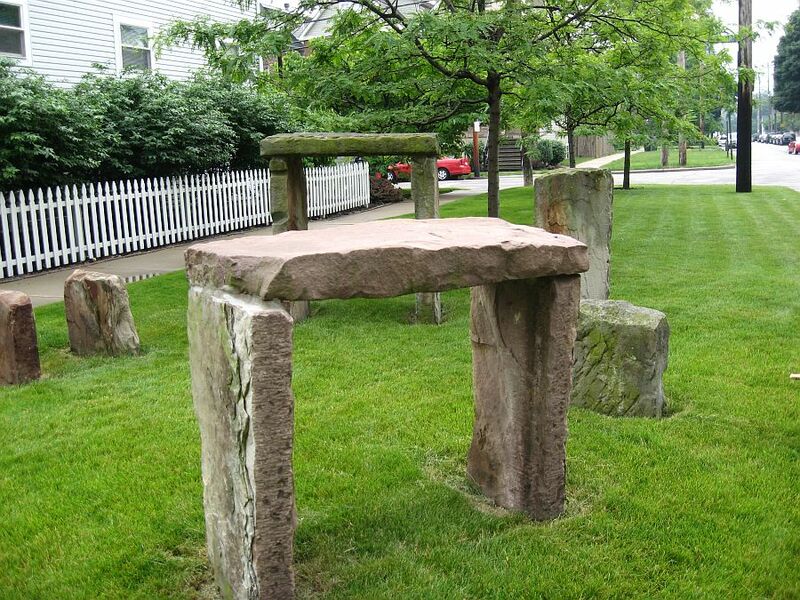 You serve as a model for those who aspire to make a better henge. And a better blog.